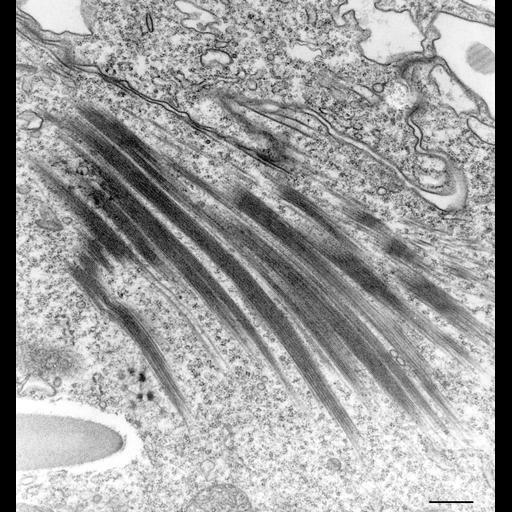 The postoral microtubular bundles form a track along which a newly released food vacuole rapidly migrates to the cell’s posterior end. Here the flattened cytopharyngeal membrane lies next to these bundles. TEM taken on 2/29/80 by R. Allen with Hitachi HU11A operating at 75kV. Neg. 12,250X. Bar = 0.5µm.